Hi, there! I need your help please! I have saved a lot of videos in my iPad, and now I find that my iPad is out of storage space. So I want to delete these videos and free up my iPad storage space. Is there an easy way to do that? I’ll appreciate all your suggestions, thanks! iPad users mainly use the device to play games and watch videos. The videos can be purchased from iTunes Store or sync from computer with iTunes, and both of the methods are easy to be done. Therefore, the iPad users may have saved many videos in their iPad for an enjoyment. 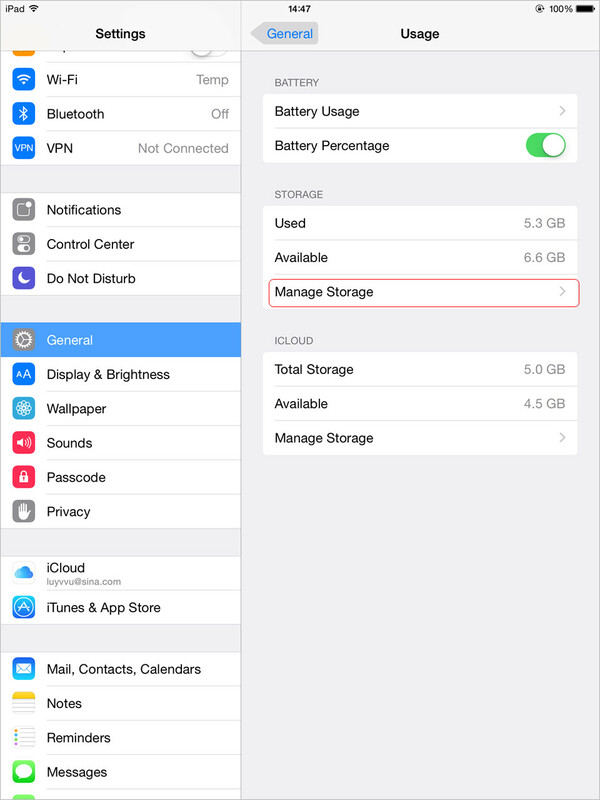 But due to the limited storage space in iPad, the videos may need to be deleted regularly to free up the storage space. And the post aims to show you how to delete videos from iPad. Deleting videos on iPad directly is a good solution for most of iPad users. They can go to the Movie App on iPad, and tap the Settings > General > Usage, and then the movies will appear under Storage. Select the movie and swipe it from right to left, and then tap the red “Delete” button. 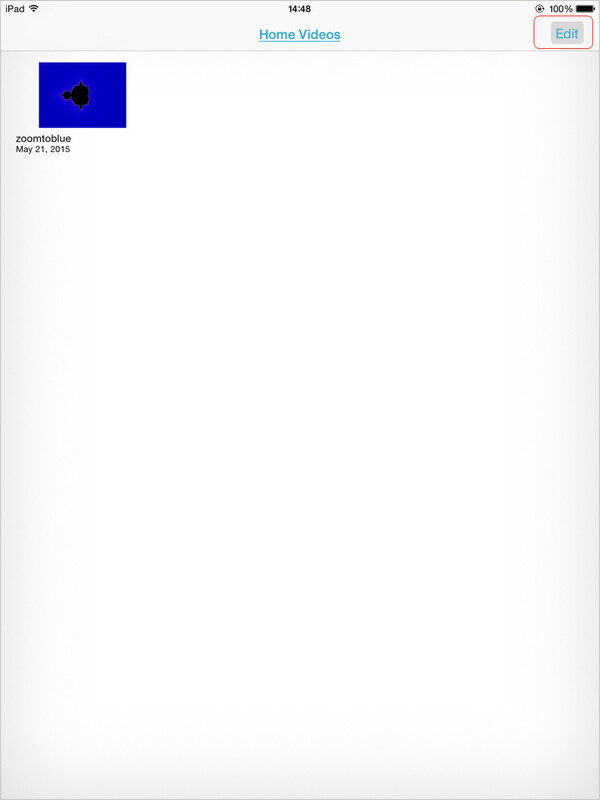 Here you go, now the movie is deleted from your iPad. Or you can go to the Video app in your iPad, and then tap “Edit” at the upper right corner. Then you can see the “X” button at the top of the movies. Tap “X” on the movie you want to delete, and then you can get the movies deleted from your iPad. 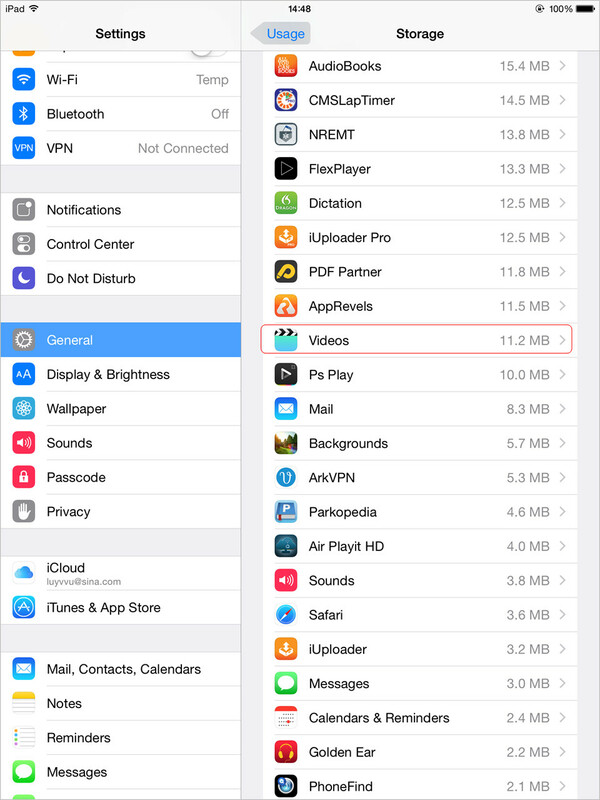 Before deleting videos on iPad to free up storage space, you will need to back it up to iTunes library or computer to avoid the permanent loss of the video. 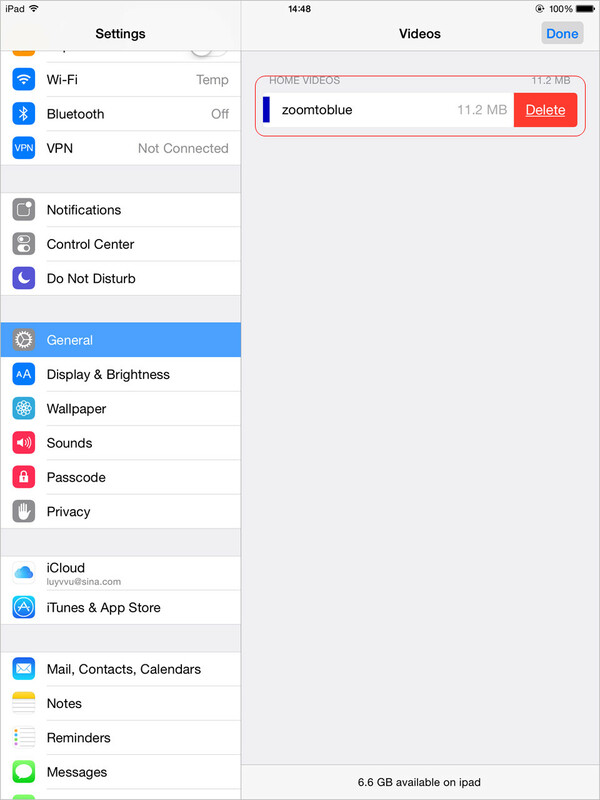 With the methods mentioned, you are able to delete one video at a time, if you have many movies in your iPad, you will want to find another method. At this moment, a piece of iPad transfer software may be helpful. People will find many transfer programs for iPhone, iPad and iPod on the Internet, and they may have no idea on which one to choose. As far as I am concerned, Leawo iTransfer can be a good choice. This software enables users to transfer files among iOS devices, iTunes and PCs without the sync of iTunes, and it also helps users to manage the files in their iOS devices. So Leawo iTransfer can help you to delete videoss from iPad permanently, and backup movies from iPad to computer. The following guidance will show you how to do that. You are allowed to free download the software to have a try, but note that the trial version has limited transfer times. 1. Run Leawo iTransfer and connect iPad to computer with the USB cable. The software will automatically detect your iPad libraries, and then show the libraries in the left sidebar. 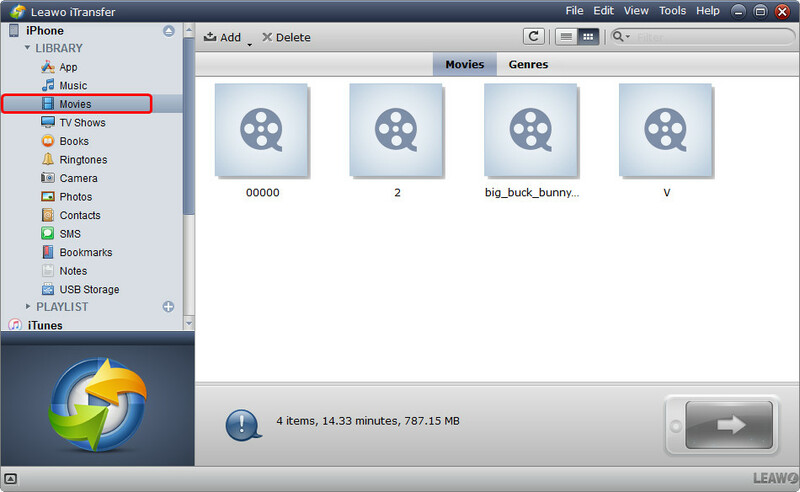 Choose “Movies” library and then the contents will be show in the right part of the window. The videos are lying in the window. 2. Hold “Ctrl” key and check the videos you want to delete, then right-click the chosen files and click “Delete” in the drop-down menu. The software will start deleting videos from iPad. The progress bar in the pop-up dialog will show you the percentage of the deleting process. When the deletion is finished, you will get the videos deleted from your iPhone. When the deleting process is finished, you will find the movies are gone for good in your iPad; and after the backup process, you will get the movies in the target folder. With Leawo iTransfer, users are able to delete movies on iPad, and back up iPad movies to computer with no efforts. Of course, this software in not only useful for the data transfers of iPad, but also for other iDevices, for example, you can transfer apps from iPhone to iPhone with this software. If you are interested in Leawo iTransfer, you can free download it and have a try.